02/13/2015 02/15/2015 LetsPlayNintendoITALeave a Comment on What Changed with the Valentine’s Day 2015 Update? 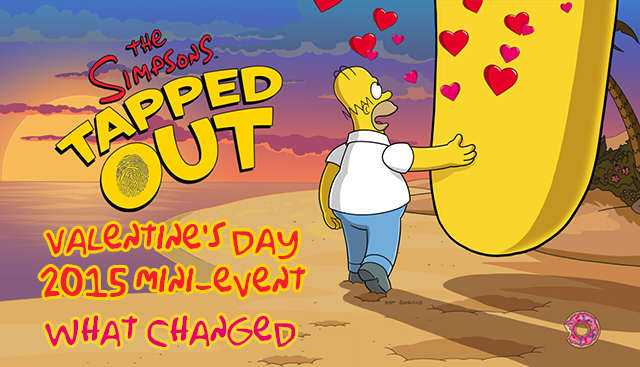 What Changed with the Valentine’s Day 2015 Update? As usual we’re here to analyze the changes in this update, although they’re very few, however, they all relate to the Valentine’s items. Added Valentine’s Tree to the Trees group. Building the Tunnel of Love now yelds 60 XP. Changed the Tunnel of Love tap sound to a louder one. Madame Chao’s now yields a premium payout. Marge’s Ride Tunnel of Love task with Homer now has a premium payout. Mindy’s jobs now payout a premium rate. 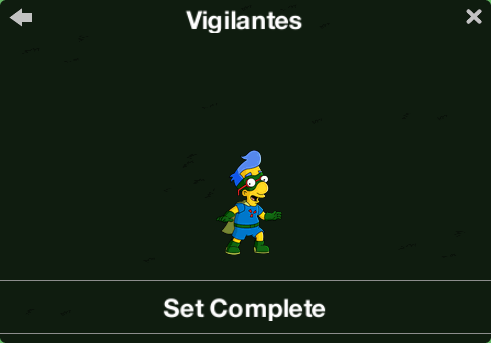 A new character collection has been added titled Vigilantes. Seemingly this group was created to categorize the new Sidekick Milhouse skin although many believe this will see new characters added soon. Those are all of the file/game changes we have caught so far. Did we miss something? Please write down below in the comments section in case we did and please stay tuned right here at Topix for any changes, releases, general info and fun. Thanks for reading,. Next How Do the Valentine’s Day 2015 Items Affect the Conform-O-Meter and Bonus?